This one-day workshop is for instructors who are used to delivering technique sessions but want to build on their personal technical knowledge and be able to add more depth to their teaching skills, enabling them to better meet their client’s needs. This workshop is also open to Walk Leaders and public members holding the NWUK Freedom Passport who would simply like to better develop their own personal Nordic walking technique for better movement and better results. 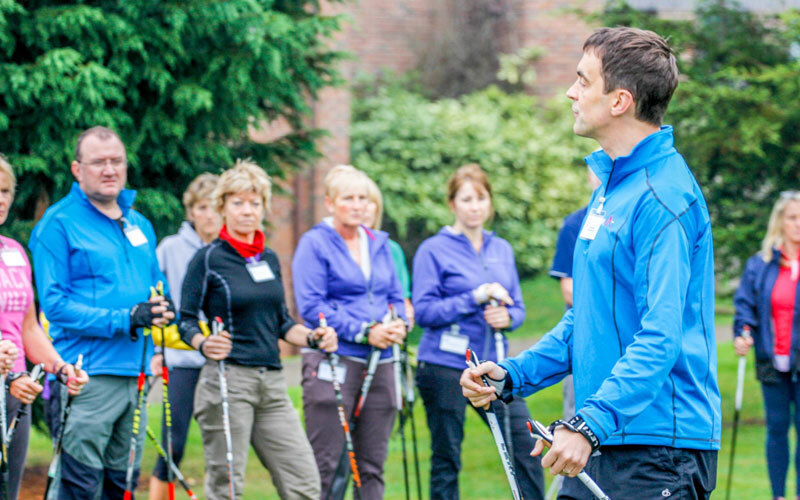 The Nordic Walking Advanced Technique workshop consists of practical sessions. All candidates are given verbal feedback. There is no formal assessment. PRE REQUISITE – NWUK Instructor with experience in teaching and an understanding of clients needs. This workshop is also open to Walk Leaders and public members holding the NWUK Freedom Passport who would simply like to better develop their own personal Nordic walking technique for better movement and better results.